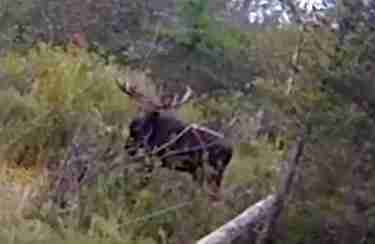 Tangled in what must have felt like an infinity of wire, a moose in rural Wisconsin was helplessly trapped. 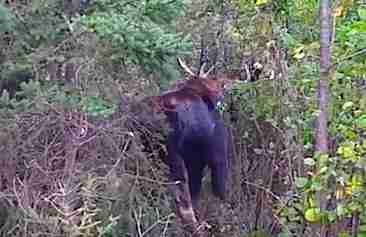 Luckily, some people working on a nearby track of Canadian Railroad just outside Phillips, Wisconsin, in late September noticed the moose in his dire situation. They called for expert help. People from the Wisconsin Department of Natural Resources (DNR) and the U.S Department of Agriculture Wildlife Services sprang into action to help the moose. 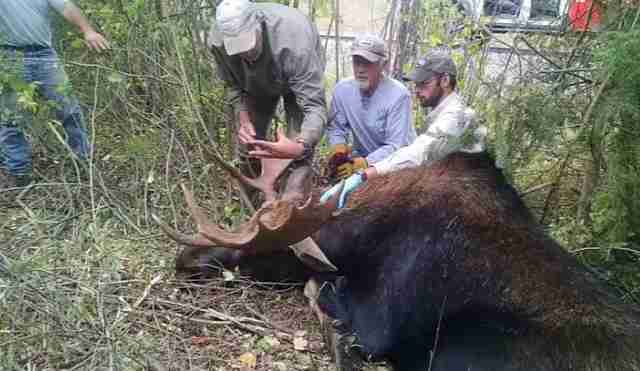 "Our staff immobilized the moose and removed the wire," DNR announced on its website. 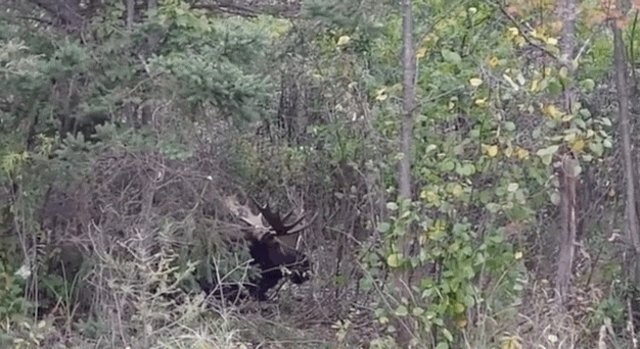 "Within an hour, the moose was freed, allowed to roam once again." A little disoriented upon waking, the moose finally gets up and looks around, as if emerging from a bad dream. Then he disappears back into the woods. We're so relieved - and we're sure he is too. Read about other delighted moose here.